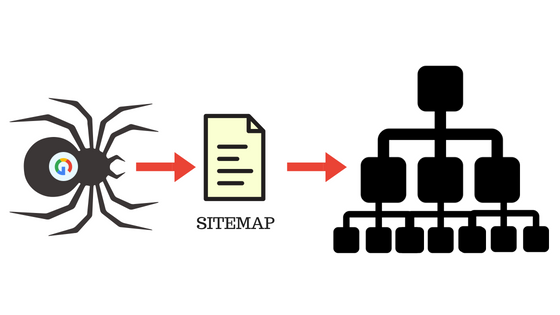 SEO is most important for the website marketing, today I am going to share with you an SEO technique Sitemap XML submission. the previous topic was how to Add your website to Google search console. and now how to create an evergreen SEO- Boosting Sitemap XML using a sitemap generator SEO tools. creating of an XML sitemap is very easy and you do not have to worry about it. so understand first XML sitemap. The Sitemap XML is a file which stores a list of a website URLs. it is used to display information on the web. but here the question is, why we are using it? or what is the purpose of using Sitemap XML? All search engines use web crawlers or bots to organize and indexed web pages. an XML sitemap makes easy to read for the crawlers that what's on your website. 9 best tips to write an SEO Friendly article to index well on search engine. crawlers read your website URLs from the sitemap and index it fastly. with the help of sitemap, Search engines know how frequently web pages are updating on your site. so how I create sitemap XML for my website? you can create your website sitemap online by using XML sitemap generator SEO tools. there are many free tools available on the internet and here we are using one of them. first, go to XML-sitemaps.com and just enter your site URL and click on the start button. in XML-sitemaps.com you can quickly create a sitemap for a small website up to 500 pages. you can download sitemap XML or receive via email. after downloading submit your sitemap to Google, Bing, and Yandex. which techniques you use to build Sitemap XML for your website?